a community of professionals who study, practice, and promote healthy humor and laughter. Making one-to-one connections with like-minded people - for those who love humor, there’s simply no resource like it! The Association for Applied and Therapeutic Humor (AATH) is non-profit, member driven, international community of humor and laughter professionals and enthusiasts. Formed in 1987 by Registered Nurse, Alison L. Crane, AATH provides its members the education, cutting-edge resources, and supportive community they need to excel in the practice and promotion of healthy humor. Therapeutic humor is any intervention that promotes health and wellness by stimulating a playful discovery, expression or appreciation of the absurdity or incongruity of life's situations. This intervention may enhance health or be used as a complementary treatment of illness to facilitate healing or coping, whether physical, emotional, cognitive, social or spiritual. Officially adopted by the AATH Board of Directors on June 1, 2000. AATH welcomes anyone who is interested in learning more about the application and benefits of therapeutic humor. 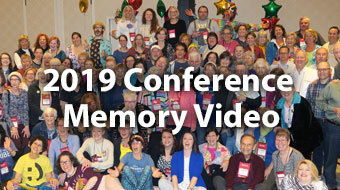 Members include scholars, psychologists, counselors, allied healthcare practitioners, nurses, social workers, physicians, funeral directors, business executives, human resource managers, educators, clergy, hospital clowns, speakers, trainers, and many others who incorporate humor in their life and work. The Humor Academy Program offers Graduate Course Work and Certificate Options in Humor Studies by serving as a dynamic resource for the AATH community interested in the theory and scientific research that define Therapeutic Humor and its applications in occupationally diverse fields.